11.1 Is CoolSculpting intended for permanent fat removal? 11.3 How fast is CoolSculpting? 11.4 Do I need multiple treatments? 11.5 Am I a candidate? If someone told you that there was a non-invasive way to lose up to 25% of the fat in almost any part of your body, without having to make one incision, or take more than one hour out of your day, would you be skeptical? Or excited? Patients who are looking to finally lose the last bit of their stubborn fat can rejoice; CoolSculpting is an effective, pain-free way to eliminate fat cells from your body, without surgery or a long recovery time*. CoolSculpting is a remarkable non-invasive treatment that reduces areas of unwanted fat without surgery or downtime*. 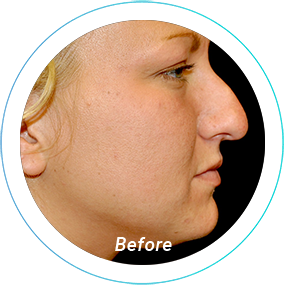 This revolutionary FDA-approved technology makes it possible to sculpt a beautiful physique – safely and with no downtime*! To date, more than 4 million CoolSculpting procedures have been performed worldwide. Always at the forefront of advances in cosmetic medicine, Dr. Anna Wooten of Beleza Plastic Surgery offers CoolSculpting in Pittsburgh. 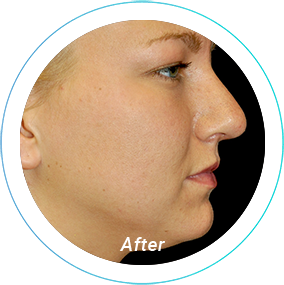 At Beleza, your consultation will be carried out by Dr. Wooten herself, a board-certified plastic surgeon. 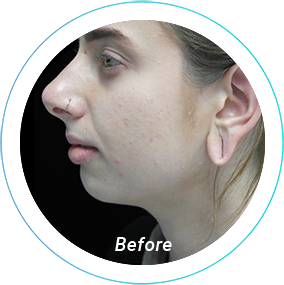 She will use her surgeon’s eye to help you shed fat – non-surgically*! 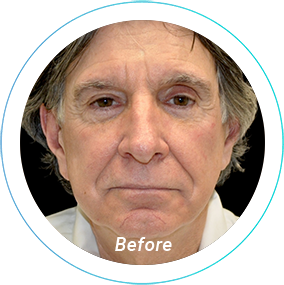 Additionally, Dr. Wooten actually has two machines, which enables her to offer “DualSculpting!” Double the machines, double the efficiency, and half the treatment time! 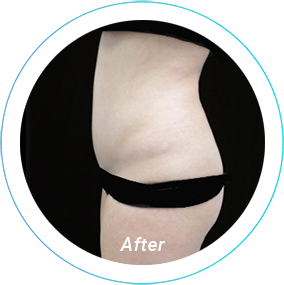 CoolSculpting uses controlled cooling to freeze selected areas of unwanted fat. Once the fat cells are crystalized (i.e., frozen), they die and the body naturally processes and filters the dead cells in the following weeks*. 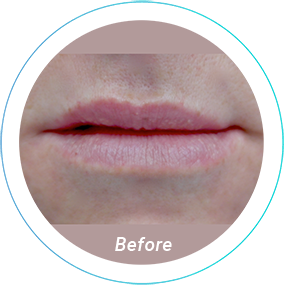 As a result, the treated area looks slimmer and more sculpted*. Once the fat cells are gone, the same cells do not return*. A loss of up to 25% of the fat in the treated area, per treatment*. Their ideal, sculpted body. CoolSculpting can safely and effectively destroy the fat patients have been struggling to lose through diet and exercise*. Their slim body will finally reflect their active efforts*. A body transformation with almost no interruption to their daily schedule*. A CoolSculpt session can be completed in anywhere from 35 minutes to just over an hour. Patients’ recovery timeframe will be much shorter and easier than other weight loss procedures*. Fat loss literally in their sleep*. While you go about your daily schedule in the months following your CoolSculpting, your body will be working to expel the deceased fat cells. The treated area(s) will become slimmer and more contoured during this time*. Twice the treatment in half the time. 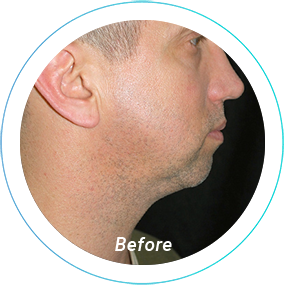 Patients can opt to receive DualSculpting and tackle the fat in multiple areas of their body at once! CoolCore Advantage & Advantage Plus: These applicators are very effective on the abdomen, waist, hips, and male chest*. Advantage Plus offers a larger option of the two applicators. 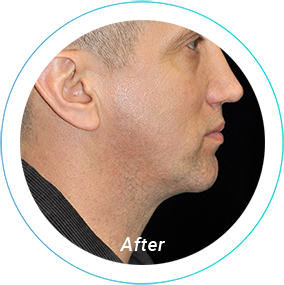 Medical professionals tend to select CoolCore Advantage & Advantage Plus most frequently when tailoring a patient’s CoolSculpt treatment. 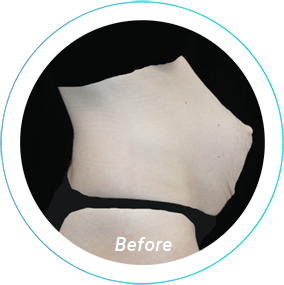 CoolFit Advantage: CoolFit Advantage has great success treating fat on a patient’s thighs*. With CoolFit Advantage, patients can achieve a desired thigh gap*. 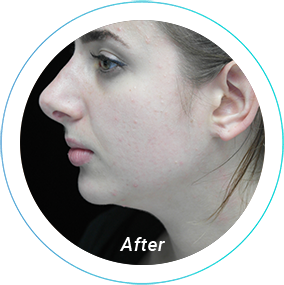 CoolMini: This mini applicator is capable of getting rid of a pesky double chin and combatting fat in the chin and neck*. CoolCurve Advantage & Advantage Plus: The CoolCurve applicators are curved, which makes them the ideal tools for sculpting larger areas like the waist, abdomen, and hips. CoolPetite: This new, smaller applicator is very effective for contouring the patient’s bra line, arms, thighs, back, and banana rolls*. 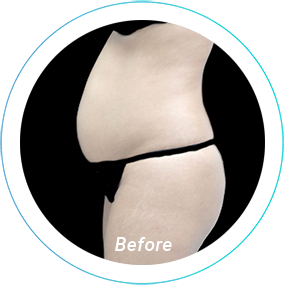 Anyone who is looking for a non-surgical solution for their problem areas should book their informational consultation for CoolSculpting in Pittsburgh with Dr. Wooten to learn more. CoolSculpting can benefit individuals with stubborn bulges of fat on the abdomen, flanks, inner/outer thighs, “bra fat” area, neck, “banana roll,” or the upper arms*. It is the ideal way for patients to lose the last amounts of stubborn fat on their body in order to reveal their healthy, sculpted body underneath*. Suitable candidates should be at or close to their target weight and in good health with reasonable expectations of treatment. CoolSculpting delivers the best results for patients who turn to it as a final body contouring option after they have achieved most of their desired weight loss; it may not be the best option for patients with 30 pounds of weight loss or more to go*. Dr. Wooten is happy to recommend alternative fat elimination methods for these patients. 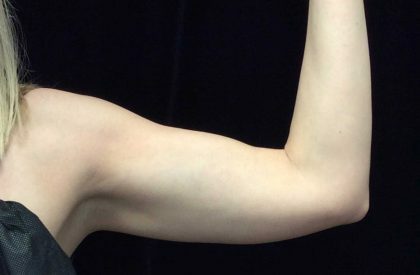 During your initial consultation with Dr. Anna Wooten, she will work with you to make sure she has a strong understanding of your body transformation goals. After assessing your medical history and current health habits, Dr. Wooten will design a fat-fighting treatment which can elegantly and effectively deliver the patient’s desired results. 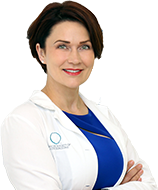 She is happy to answer any questions you have about CoolSculpting, as well as any other body contouring procedures you might be considering. Call the friendly staff at Beleza Plastic Surgery to schedule your free, informative consultation today. Every CoolSculpting patient has a treatment plan that is tailored to their needs. Dr. Wooten consults with every candidate to examine the area(s) of concern and recommend a suitable course of action to deliver the desired outcomes*. 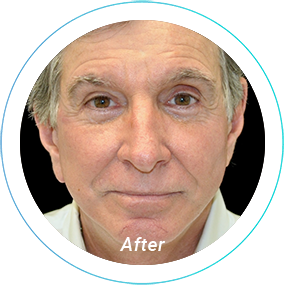 Some patients may see the desired results in one treatment, whereas most will need multiple treatments*. On the day of the procedure, patients relax on the treatment table and are free to read, watch a movie on their smartphone or tablet, or even nap. 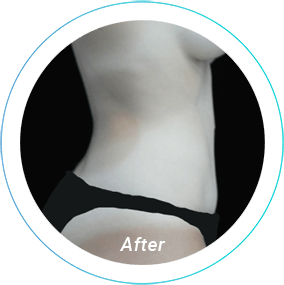 A gel pad and applicator is placed over the affected area and delivers controlled cooling to the fat tissues. This is not painful, although patients may feel an initial sensation of intense cold and possibly mild pinching, tingling, or stinging. After the treatment has covered the entire targeted area, the patient is released to resume work or their normal activities. Treatment time varies, depending on the size and number of areas being treated. Most treatments take 35 to 60 minutes, although with two CoolSculpting machines, Dr. Wooten can divide the treatment time in half. To learn more about CoolSculpting and whether it can help you to achieve your personal body contouring goals, Dr. Wooten welcomes you to book your personal consultation. Call or email our office today. There is no recovery time needed. Patients can immediately go back to work and the rest of their regular routine. Some people experience temporary redness, tingling, bruising, or swelling in the treated area, but these side effects subside quickly. Serious side effects are rare. In the weeks following treatment, the frozen fat cells die and are naturally processed and filtered from the body. The treated area will become slower and increasingly slimmer throughout this time*. The fat elimination process can take as long as 2-3 months before the patient sees their end result*. With fewer fat cells present, the treated area should look firmer and flatter over time*. Fat cells that have been filtered from the body do not return; therefore, CoolSculpting results are very long lasting*. 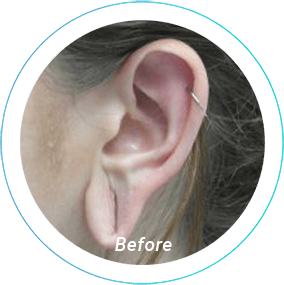 The price of a patient’s CoolSculpting regiment will vary based on the area or areas the patient has opted to sculpt, and how many sessions they may require to see their desired results. After a patient completes their initial consultation at Beleza Plastic Surgery, they will receive a price breakdown of their anticipated CoolSculpting treatment. Call Beleza Plastic Surgery today to schedule your consultation and learn what CoolSculpting can do for your body. Is CoolSculpting intended for permanent fat removal? CoolSculpting is designed to produce long lasting fat loss results*. Once the fat cells are frozen, they die and are naturally filtered from the body. Once they are gone, those same fat cells cannot return. With that in mind, Dr. Wooten encourages all Pittsburgh patients to maintain their weight after the CoolSculpting treatment through healthy lifestyle habits like diet and exercise. Yes, CoolSculpting has been cleared by the FDA for safety. Over 6 million treatments have been performed worldwide and adverse side effects are extremely rare. A typical CoolSculpting cycle lasts between 35 minutes to an hour and 15 minutes. Depending on the number of cycles you get, this could mean that treatment could be anywhere from an hour total to a full day! Because there are two CoolSculpting machines at Beleza, we can often cut the total treatment time in half. 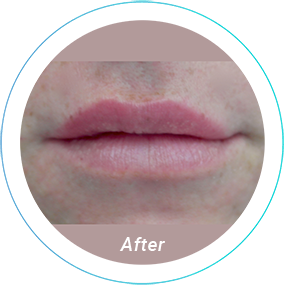 Although some patients achieve the desired results in a single treatment, most require multiple treatments. Whether you need multiple sessions depends on your area(s) of concern and goals of treatment. Dr. Wooten would be happy to discuss your candidacy for CoolSculpting during your one-on-one consultation at her facility in Pittsburgh. Generally speaking, you may be a suitable candidate for CoolSculpting if you have unwanted fat in the abdomen, flanks, back, upper arms, thighs or submental (under the chin) area. 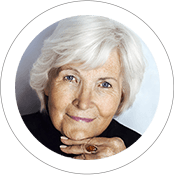 You should be at, or close to, your target weight and be free of any autoimmune or chronic health disorders that could compromise the treatment process. Also, you should have reasonable expectations of treatment and desire improvement, not perfection.